Led by $2 million in the 50-cent Late Pick 4 and $1 million in the 50-cent Late Pick 5 Saturday, May 19, there will be several guaranteed multi-race pools over Preakness weekend at legendary Pimlico Race Course. The Black-Eyed Susan Day program on Friday, May 18 will feature guaranteed pools of $300,000 in the Pick 4 covering Races 8-11 and 11-14, as well as the Late Pick 5 – offering an industry-low 12 percent takeout – covering Races 7-11. The 94thrunning of the $250,000 Xpressbet Black-Eyed Susan (G2) is carded as Race 11 of 14 with a 4:48 scheduled post time. First post is 11:30 a.m. 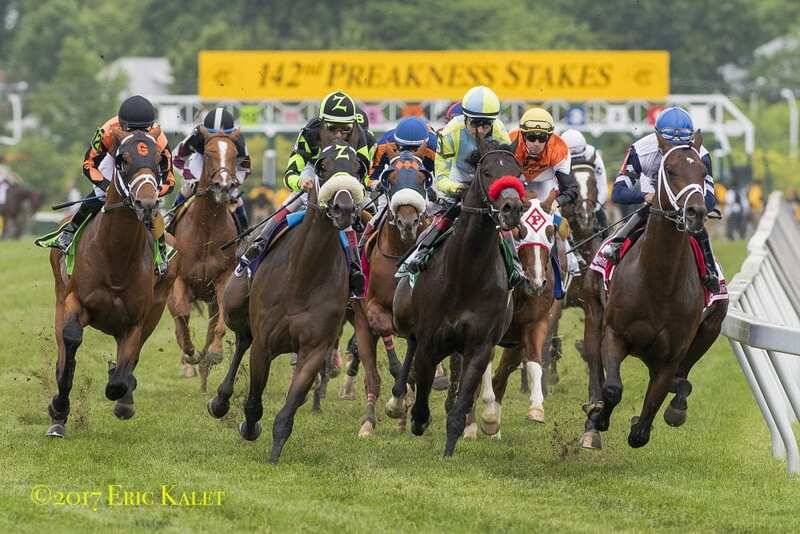 Both the Late Pick 4 (Races 10-13) and Late Pick 5 (Races 9-13) on Saturday are anchored by the 143rd running of the $1.5 million Preakness Stakes (G1), the Middle Jewel of the Triple Crown, with a scheduled post time of 6:48 p.m.
Also on Saturday's 14-race program are guaranteed pools of $500,000 in the Pick 4 spanning Races 6-9 and $250,000 in the Pick 5 covering Races 2-6. First race post time is 10:30 a.m.
A total of 15 stakes, eight graded, worth $3.7 million in purses will be contested over Preakness weekend. This entry was posted in Horseplayers and tagged 2018 preakness, guaranteed pools, horseplayers, pimlico by David Joseph/Maryland Racing. Bookmark the permalink.